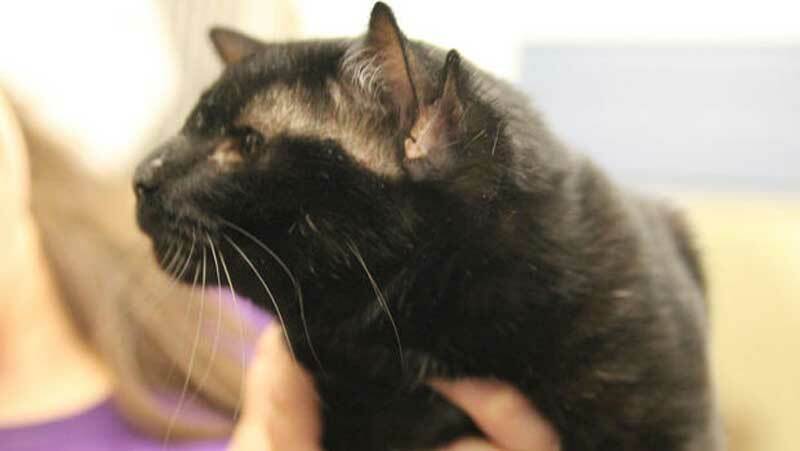 Batman, a black cat with four ears, has found a forever home after spending a month at the Western Pennsylvania Humane Society in Pittsburgh. The 3-year-old kitty first came to the shelter on July 12, when he was surrendered along with several other cats. "Just when you think you’ve seen it all, a four-eared cat comes in the door!" said the humane society's managing director, Hala Nuemah. Batman's unusual ear count is believed to be the result of a recessive gene mutation from his parents, according to Caitlin Lasky, marketing communications manager for the humane society. The four-eared cat had not been available for a few weeks because he had to receive treatment for an upper respiratory infection, Lasky said. But Lasky said when he was put up for adoption on Tuesday afternoon, he was adopted within just a few hours. "A young girl and her mother decided to take Batman into their home" she said. "It was fitting because the little girl liked superheroes." 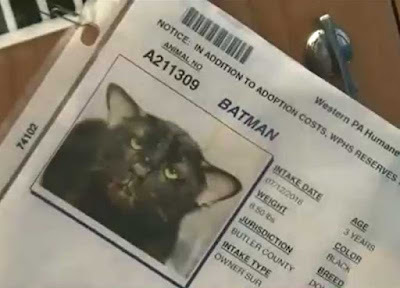 News video from just before Batman was adopted. YouTube link. Short additional raw YouTube video. 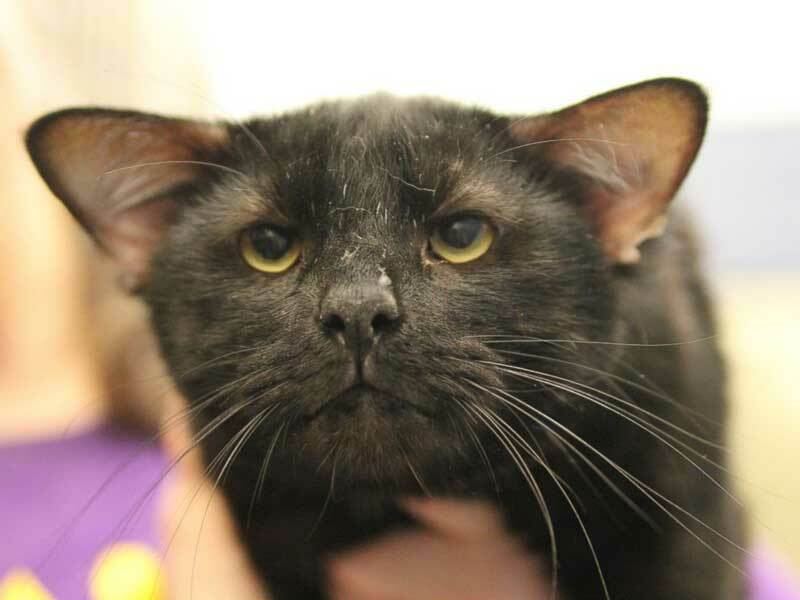 Batman's adoption was also unique because black cats usually tend to stay at the shelter for a longer time, Lasky said. "We're hoping that the interest in Batman will help get more people through the door to look at animals they may have never thought of adopting," she said. "We have many cats and other animals who are also looking for their forever homes."